It's our favorite meatless dinner, fast and simple. Or serve as a side dish. A box of your favorite pasta. 2 cups of Grated Parmesan Cheese - make sure it's got a great flavor. In a large pot, add your water and salt to boil. Start prepping your broccoli by breaking the florets into bit size pieces. When the water is ready for the pasta, add it to the water and cook it as directed. Add the broccoli to the boiling pasta for the last 2 minutes of the cooking time, carefully drain away all the water. 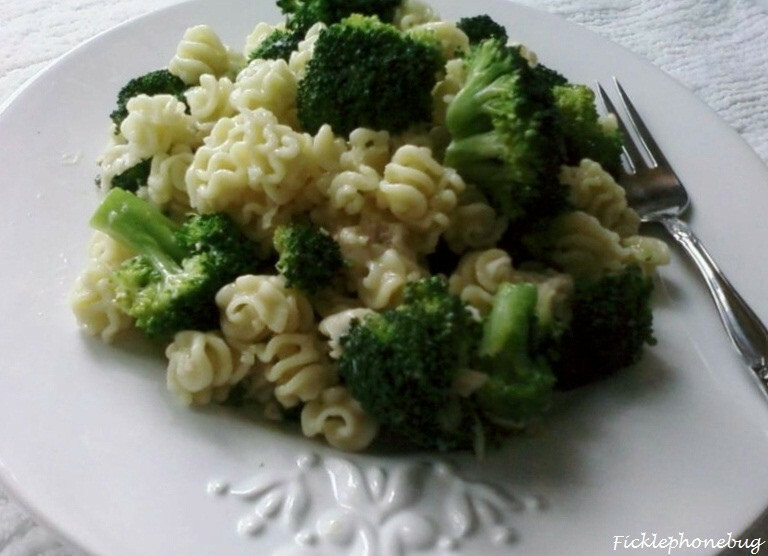 With the pasta and cooked broccoli in the same pot that you cooked it in, add the warm olive oil mix and stir well. Add the cheese a cup at a time, use a large spoon to mix it well. You can add more cheese or go with less...whatever you like. I'm glad to hear you enjoy it though!